It's often said that the chairman of the Fed is the second most powerful person in the world, next only to the president of the United States. Some say the chairman is even more powerful. When Ben Bernanke publicly stated on September 8, 2013, the Fed's intent to continue its policy of quantitative easing, global markets instantly reversed direction from a worrying downward spiral to an exuberant upward surge. Even POTUS can't do that. The authors of Invest with the Fed take the simple position that correct interpretation of Federal Reserve policy actions leads to better investing decisions. To this end, they present strategies that will help you design a portfolio that takes Fed policy into account. The result of three decades of research, Invest with the Fed reveals how the nation's bank routinely signals important clues about its future policy--and it explains how you can use these clues to enhance your portfolio performance. If Warren Buffett revealed a nugget of information about one of his future investments, you would likely act upon it. So why wouldn't you act upon information revealed by the institution that controls the U.S. financial markets? This is the book you need to adjust your investing strategy to take into account advice from the most in fluential financial institution in the world--the U.S. Federal Reserve. "What could be better? 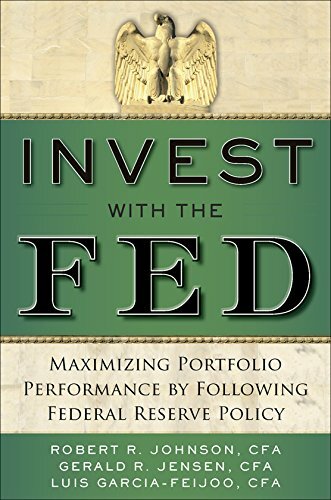 In this book, you'll learn how to make money during periods of expansive Federal Reserve policy and protect your portfolio during periods of tight monetary policy. Consider this your best-of-both-worlds guide to investing with the Fed." -- ROBERT POWELL, editor of Retirement Weekly and columnist of "MarketWatch"
View More In Analysis & Strategy.